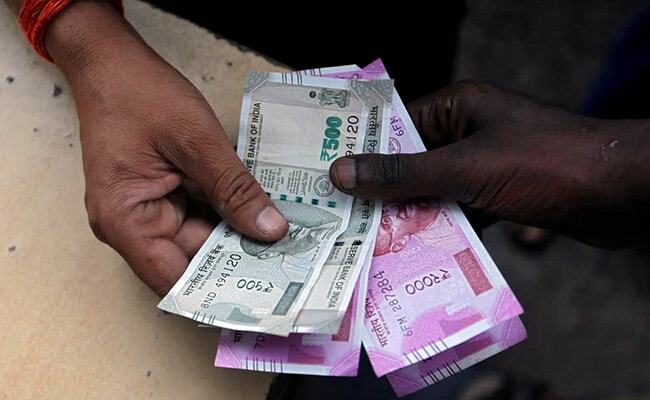 USD Vs INR: On Thursday, the rupee had climbed by 19 paise to settle at 68.92. USD Vs INR today: The rupee declined to as much as 69.24 against the dollar in early trade on Friday, reported news agency Press Trust of India. That marked a depreciation of 32 paise - around 0.5 per cent - against the greenback compared to its previous close. Increased demand for the greenback from importers and banks led to the fall in the domestic currency on Friday, the agency quoted analysts as saying. On Thursday, the rupee had strengthened by 19 paise to settle at 68.92 against dollar, marking a third straight session of gains, driven by sustained foreign fund inflows. At the forex market, the rupee opened on a weak note at 69.04, and fell further to an intraday low of 69.24 against the dollar. According to analysts, the strengthening of the greenback vis-a-vis other currencies overseas and rising crude oil prices in overseas market added pressure to the domestic unit. The dollar index, which measures the greenback against six major peers, rose as worries about the world's largest economy eased after US data showed that March producer prices increased by the most in five months and weekly jobless claims fell to the lowest since 1969. Foreign fund inflows and higher opening in domestic equity market, however, restricted the fall in the local unit on Friday, according to analysts. According to news agency Reuters, foreign investors have ploughed billions of dollars into India ahead of the election process spread over seven phases, which began on Thursday. Investors, who only turned bullish on the rupee at the start of March for the first time in nearly a year, have since raised their long positions to their highest since January of last year, a Reuters poll of 14 respondents showed. Rising crude oil prices put pressure on the rupee in the forex market. Brent crude futures, the global benchmark for crude oil, was last seen trading 0.27 per cent higher at $71.02 per barrel. Domestic stock markets started Friday's session on a higher note with S&P BSE Sensex rising as much as 114.00 points to 38,721.01. The NSE Nifty moved to 11,627.20, up 30.5 points from the previous close. The government is due to release data on macroeconomic parameters such as consumer inflation and industrial production later in the day. Foreign institutional investors (FIIs), meanwhile, put in Rs 476.51 crore on a net basis on Thursday, provisional data available with NSE showed.